Tencent Games announced that the December 21 PTS Update for PlayerUnknown's Battlegrounds would include the new PUBG map Vikendi along with new features and a slew of bug fixes. The PTS (Public Test Server) is a separate free-to-download server available for anyone who owns a retail copy of PUBG on Xbox One. This test server introduces new features ahead of their official launch, allowing the players to test and give feedback so that the company behind the franchise can optimise the game and push it to the live servers in a smooth fashion. Nevertheless, one should note that the player data and statistics are not carried over to the live server account. To take part in the test, one has to own a copy of PUBG on Xbox one and search for "PUBG Test Server" on the Microsoft Store. 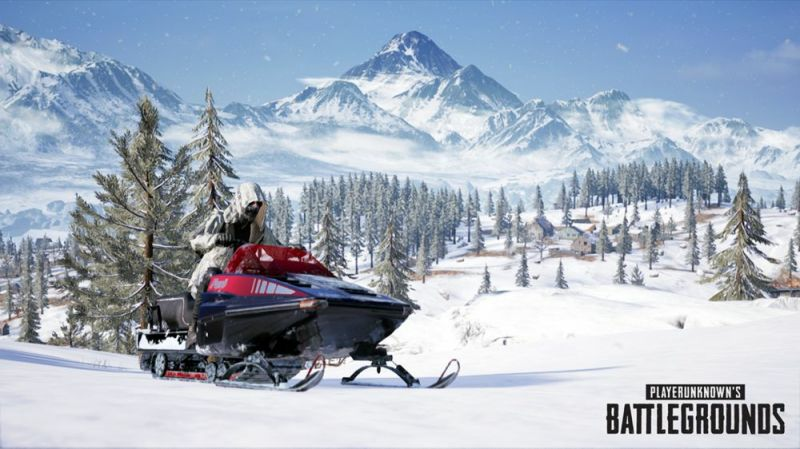 December 21 PTS Update for Xbox One introduced the highly-anticipated Vikendi Snow Map, which is a 6 km X 6 km map, offering a more tactical experience than the 4 km X 4 km Sanhok. The snow-covered map will include new items and a host of changes, which includes altered vehicle dynamics for increased realism, and the ability to track opponents using footprints and vehicle tracks. Get all the latest PUBG Xbox News on Sportskeeda. Furthermore, the map will feature the G36C assault rifle that chambers 5.56mm ammo in 30-round magazines, and a new snowmobile for enhanced mobility on the snow. The latest update also includes Skorpion sidearm that houses 9mm ammo in 20-round magazines. Additionally, it includes performance enhancements, bug fixes and new report player functions. NA, EU – TPP Solo, TPP Squad. The December 21 PTS update should allow users to get a rough idea of what one could expect from the new map in January 2019. Also, the data from the test servers could help the company behind the franchise fix critical issues before the official launch. Along with Xbox One, PUBG is also available for PC, PlayStation 4, iOS and Android devices.